That's what McDonalds says, and that's what I say, during this two months notice period in my current company. I'm trying to have a lot of fun - both inside office and outside. I absolutely have no work and my boss is so nice, he does not share the team's work load. And so I'm havin' lot of fun, travelled a lot, doing new stuff and then searching for blogs. Top: 13 days 2 become a ThoughtWorker. Left: A poster. 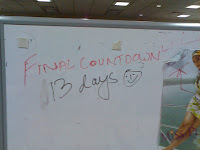 Suresh had this bright idea to stick it on our cubicle. Trip to Hyderabad for a week. Relaxed at home and then helped mom to shift house. My childhood friend came over to stay for a week. 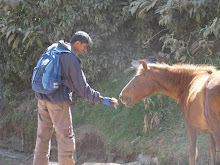 We travelled to Nandi Hills and Sivanasamudra. Beautiful waterfalls and lakes to swim around in Sivanasamudra. Took a bike trip with office guys to Nandi Hills. I got to ride an Enfield Thunderbird. I loved driving the Honda City (My bro's car in Hyderabad) and the Thunderbird. 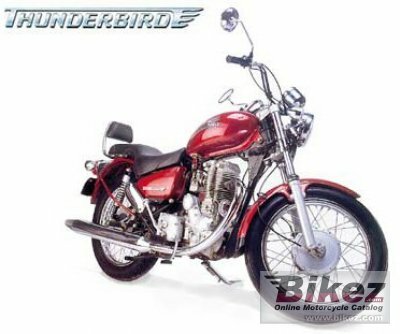 I decided that my next car would be a Honda City and the next bike, an Enfield. No idea when I can afford them.